Now that I’ve (hopefully) enticed you to visit Romania (I mean, how can you not fall in love with Romania with this series??) 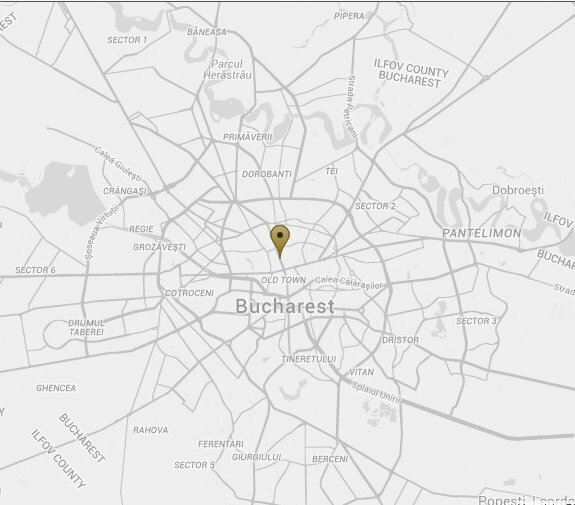 , it’s time to choose your hotel in Bucharest. Bucharest, the country’s capital, will very likely be your city of arrival when flying into Romania. And whether you want to spend a couple of days exploring the city or use Bucharest as a base to explore the castles and countryside, you will still need to choose a hotel in the city. There’s a good number of 4-5 star hotels in the city, and for this visit , I went with a brand that I’ve tried and trusted through the years: InterContinental. InterContinental Hotel BucharestT is quite historic because it was the city’s first ever 5-star hotel when it opened in 1971. And at 90 metres in height, it is the highest hotel in Bucharest. 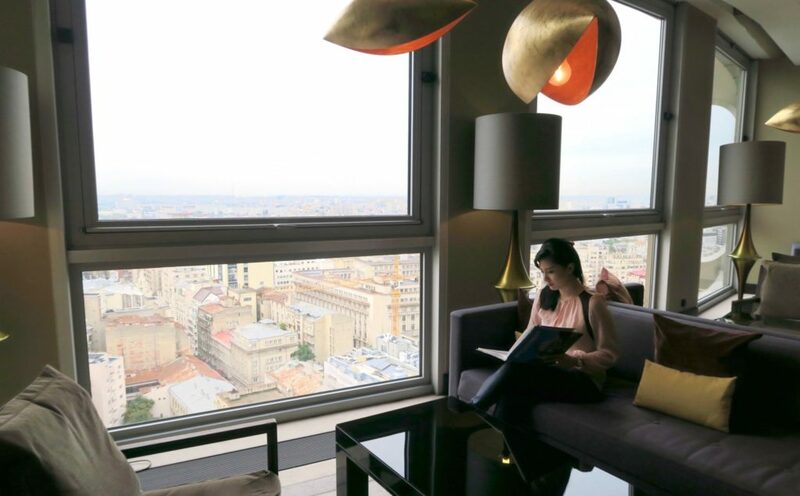 When InterContinental Bucharest describes itself as being in a central location, it really means it. It’s at the city centre itself and the views of the city from the hotel are spectacular. 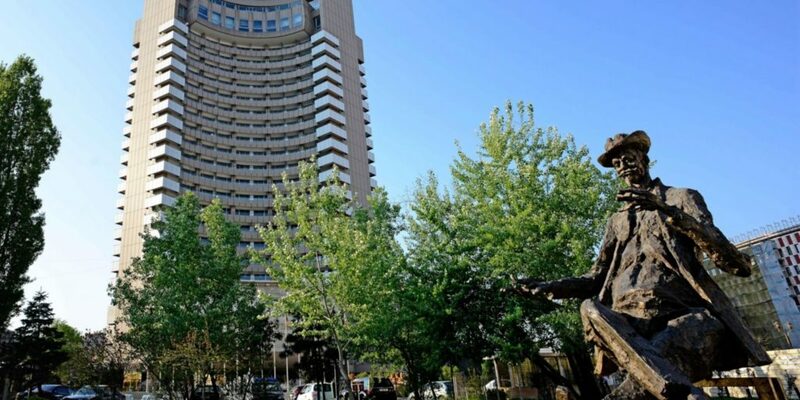 So with it’s supreme location, amenities and service, it’s no surprise that InterContinental Bucharest won this year’s ‘Leading Business Hotel’ award at the World Travel Awards (known as the ‘Oscars’ of hospitality industry awards). I was already impressed by the service of InterContinental Bucharest weeks before I even arrived in Bucharest. I had a bit of complication with my inter-Europe rail tickets (oh the frustrations of rail still requiring a paper ticket that isn’t just printed, but a paper PAPER ticket from them). Long story short, I needed an address in Europe for my tickets to be mailed to, and InterContinental Bucharest’s concierge team was more than happy and extremely accommodating, to receive the documents on my behalf. Timing proved difficult though (no fault of either the rail company or InterContinental, it was the Romanian/ European postal system) so I ended up having the documents sent somewhere else, but the concierge team of Intercontinental Bucharest really provided great communication and service all throughout. It’s also worth knowing that in August of 2015, InterContinental Hotels & Resorts added the “Insider Experiences” as part of their services. A growing trend in luxury travel is how travellers now seek authentic / local experiences (read more of that here), and InterContinental Hotels have responded to this quite well. For this year, they launched the ‘Insider Experiences’ in 5 of their most sought-after hotel locations: Bucharest, Amsterdam, Istanbul, Athens and Geneva. What this means: Guests who are staying on InterContinental Suite categories can experience these cities in a different perspective, with a guided experience from InterContinental itself. For Bucharest, the experience they have come up with is “Art & Soul in Bucharest” , a behind-the-scenes tour along Bucharest’s art and fashion houses, followed by dinner with a special menu called ‘Secrets of the City’. Due to time constraint, I personally did Not get to try the “Insider Experience” but it’s great to know for future trips! 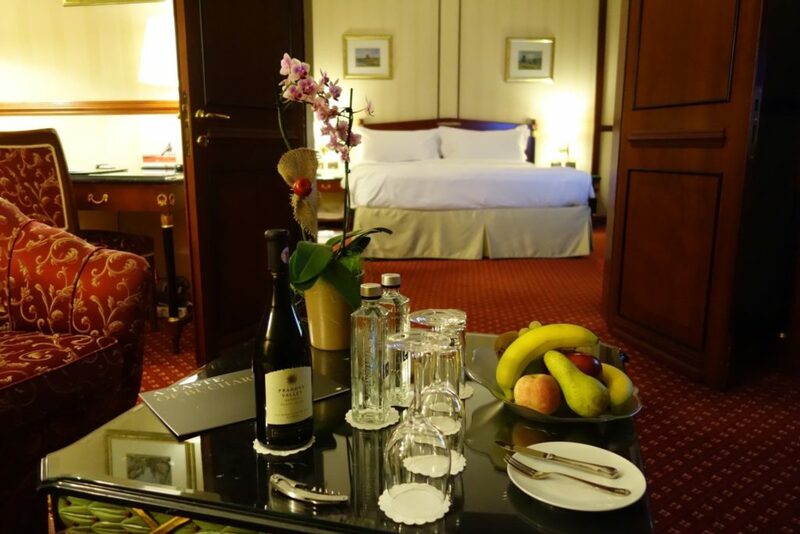 No doubt about it, the highlight of my stay at the InterContinental Bucharest is the suite itself. The room essentially has 2 parts: The bedroom and a living room, separated by double doors. 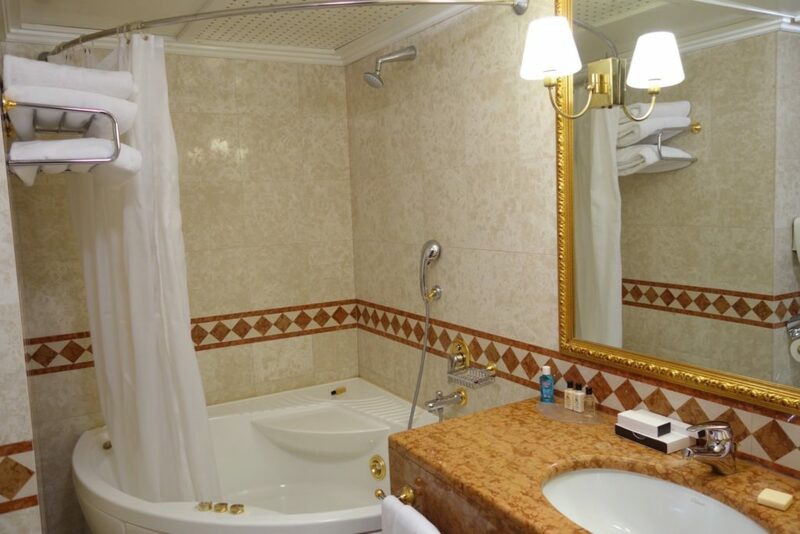 Both rooms are spacious and have a bathroom each, with showers, and the main bathroom (in the bedroom) is a 4-point bathroom with a separate jacuzzi. 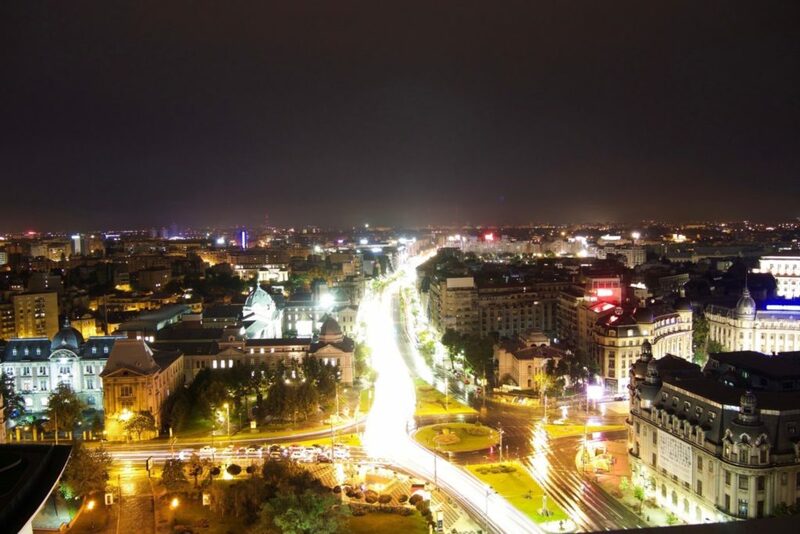 With the Junior Suite being in the 18th level, the views of Bucharest were simply stunning, especially at night. 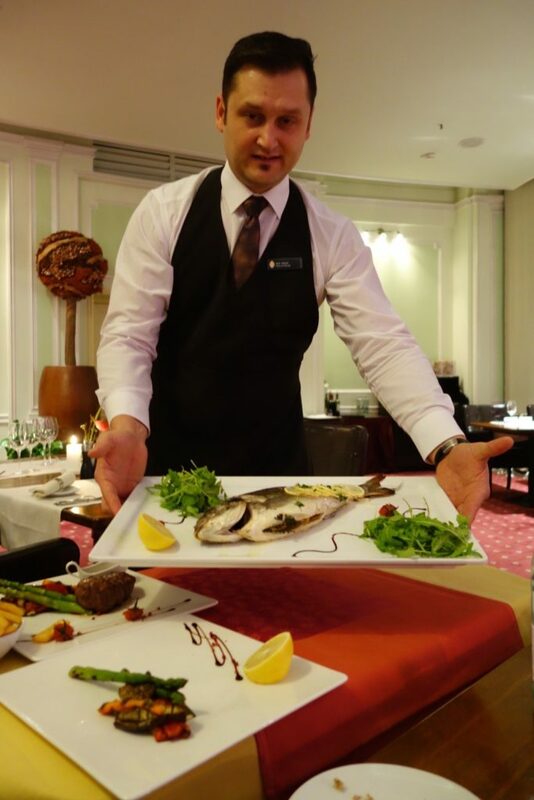 InterContinental Hotel Bucharest is also home to one of Bucharest’s authentic Italian restaurants, Modigliani. 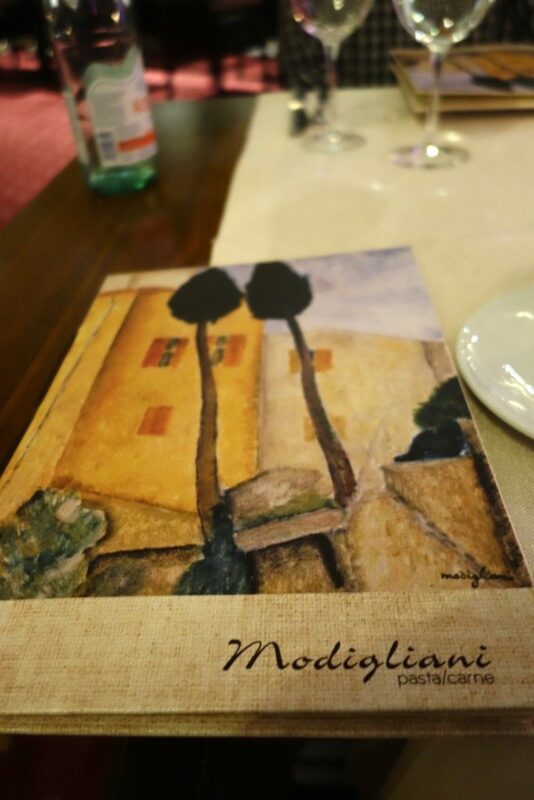 Previously known as Madrigal Restaurant, Modigliani is headed by Italian Executive Chef Cristian Marino. 2 years ago, Modigliani received the certification ‘Ospitalita Italiana’ during the ‘Made in Italy’ event. It is given that are distinguished by the support and promotion of the true values of the hospitality and Italian cuisines in the world. 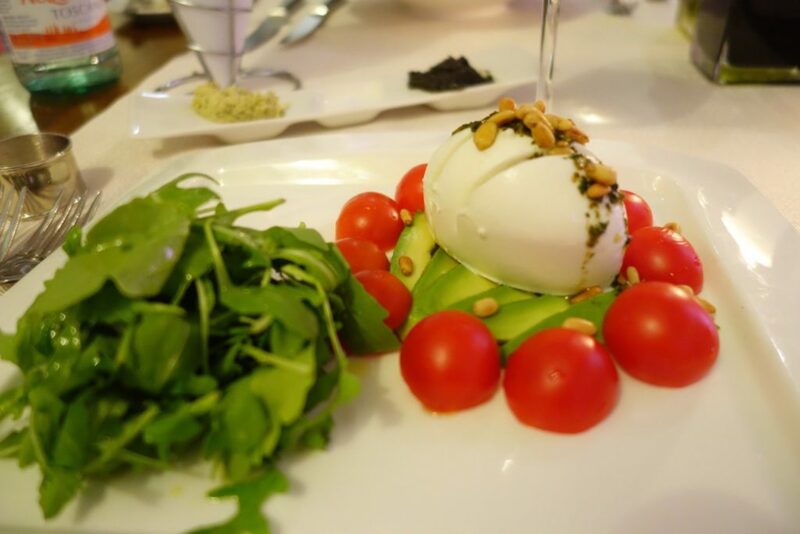 For starters, I went with the very classic Mozzarella Insalata e Bufalo. The creative version was Modigliani’s spin on the classic Italian favourite, with avocado. I wasn’t disappointed at all, the salad was very fresh and the pinenuts were a nice addition. 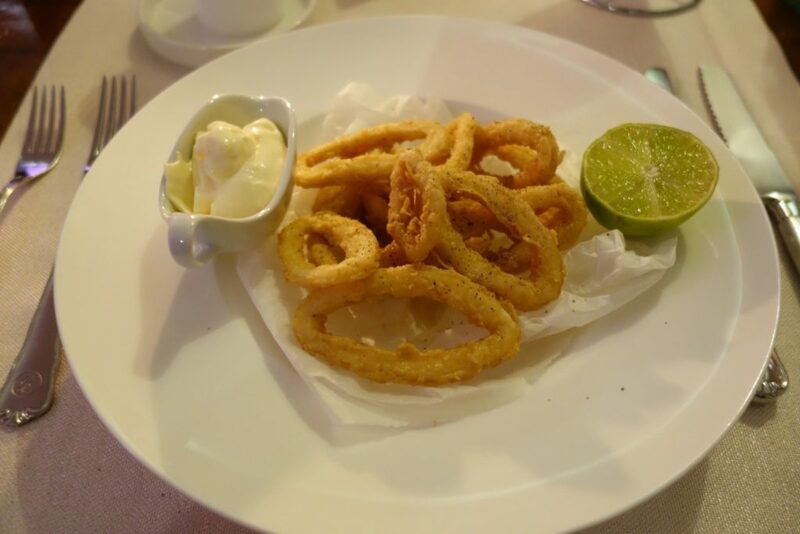 Another starter not to miss is their Calamari with Aioli. The calamari was succulent, and not rubbery at all. It was cut just with the right thickness. 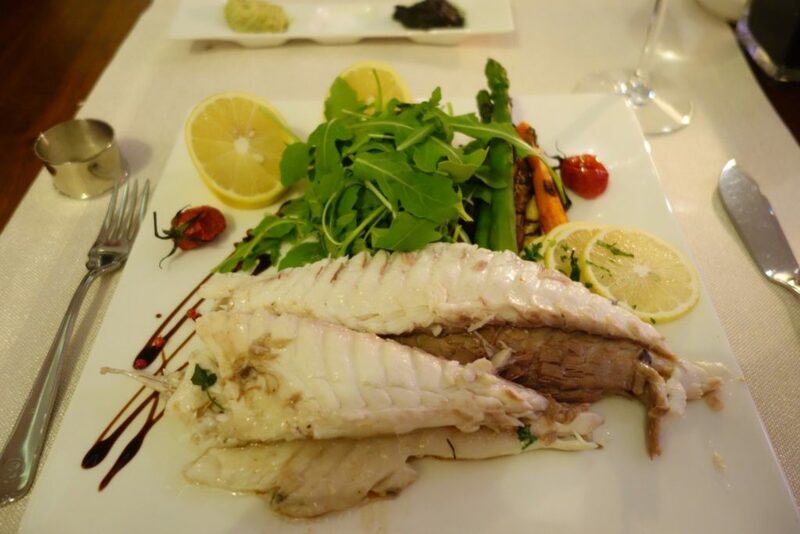 The biggest surprise for me came in the form of my main dish, the Fish of the Day. It was a fresh Dorado (or Mahi Mahi). I didn’t expect it to be this huge! Dessert was a dream. 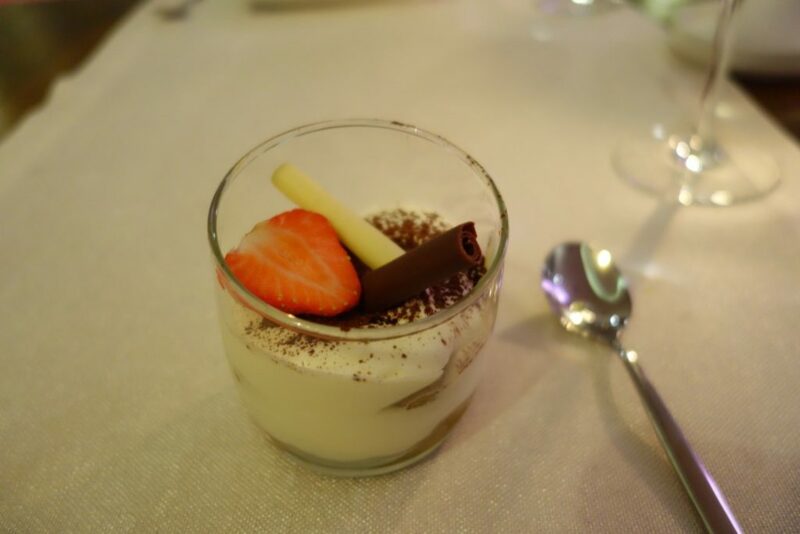 They had my all-time favourite Tiramisu, mild and creamy with just the right zing of liquor. 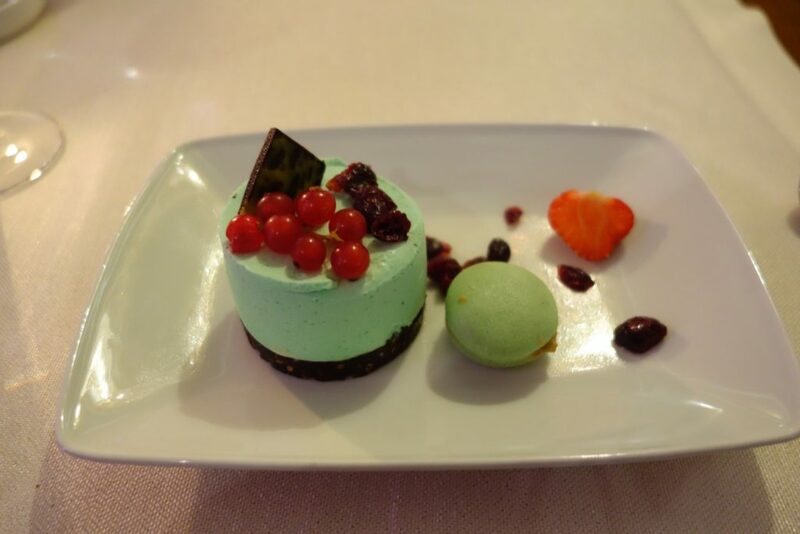 The mint cake is just like the cake version of the mint choc-chip ice cream flavour. For IHG Ambassadors and guests booked in a Club Room and Suite category, the Club Lounge in Level 21 offers a scenic and very private area for breakfast, and over all to just rest, work or enjoy the view. It’s overall been an enjoyable stay at the InterContinental Bucharest. Service is warm, and while some parts of the lobby and other main area’s decor / style seem to have remained in the early 90’s, the location and the Junior Suite are reasons enough for me to want to stay here again if I visit Bucharest once more. 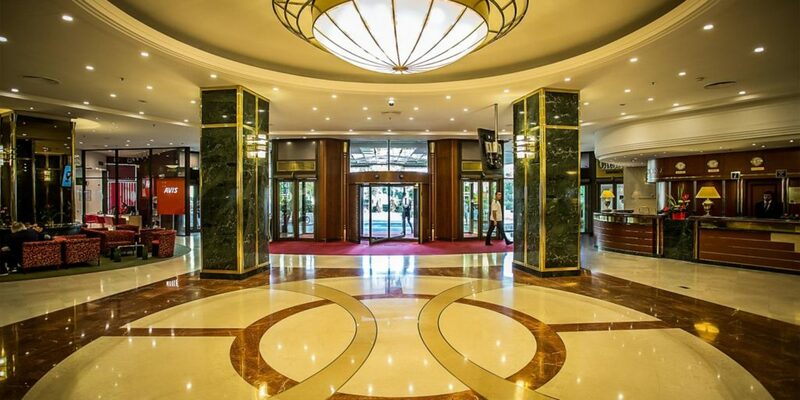 We were guests of InterContinental Hotel Bucharest for the purpose of a review. There is no obligation to write a favourable review and all opinions and thoughts are mine. Rates for Suite rooms at the InterContinental start at approximately EUR 250.00 per night. Book here. The views look simply stunning! Beautiful views and loved your review. The video was great too! 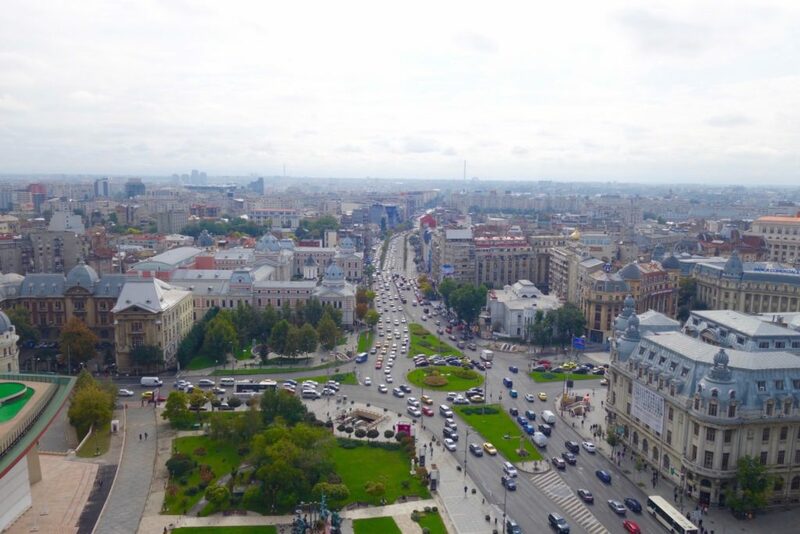 We loved our recent visit to Bucharest, it was so interesting and fun. We didn’t stay at the Intercontinental but we did actually swing by for a coffee since we were in the area and it’s a famous hotel in the city. Maybe we’ll stay here next time, and your review is inspiring to do so. The junior suite looks fabulous! Hi Alex, I remember seeing your social media posts in Bucharest about a week before we got there, would have been fun to see you and Belinda there! Agree I love the consistency of Intercontinental across the globe. I’m glad you’re considering a long weekend in Romania! You will not be disappointed, especially the countryside, which is not too hard to get to from Budapest!